Despite the harsh measures against Russia, which include banning many athletes from the Olympics, not to mention those in attendance forced to compete without their national flag and anthem, they have won 17 medals in total, and which is the 13th place in the overall country ranking. 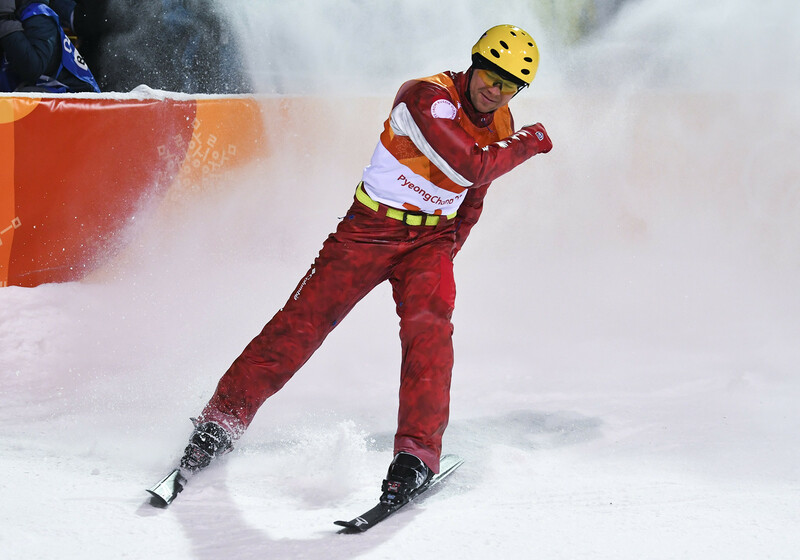 Let's take a look at the Olympic Athletes from Russia (OAR) who have succeeded in South Korea. The triumph of Russia’s ice hockey team was extraordinary, especially given the fact that the best players weren’t able to play because they weren’t allowed to take off from their NHL season games. With a 4-3 win over Germany, this gold medal victory was the first Olympic final in 20 years for Russia’s “Red Machine,” which lost the gold medal game to the Czech Republic at the 1998 Winter Games in Nagano, Japan. The 15-year-old Alina Zagitova made her debut at the Olympics, conquering hearts across the globe with her brilliant routine in the women’s individual competition. Her performance in the long program earned a score of 239.57 points, putting her ahead of teammate and main competitor, Evgenia Medvedeva (238.26), as well as Canadian Kaetlyn Osmond (231.02). Alina also won silver in the team competition. Medvedeva’s astounding performance will be long remembered by both spectators and judges, but it wasn’t enough to beat her younger teammate, Zagitova. 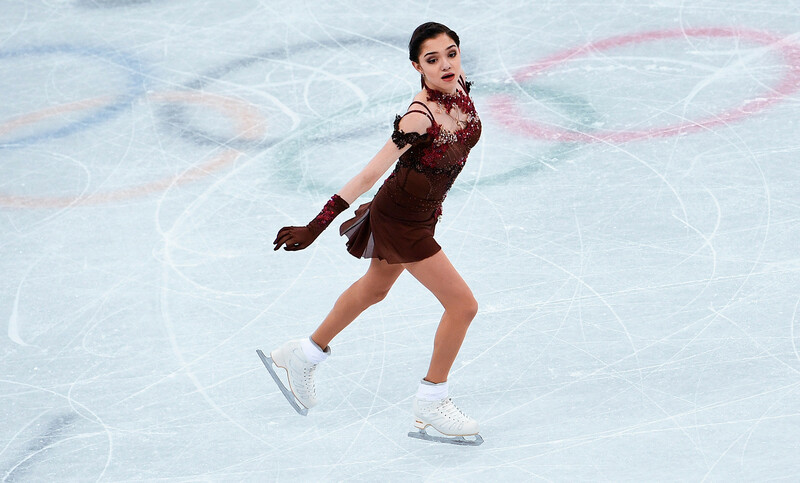 Earlier in these Olympic games, Medvedeva set world records in the women’s short program and won a silver medal in the team competition. 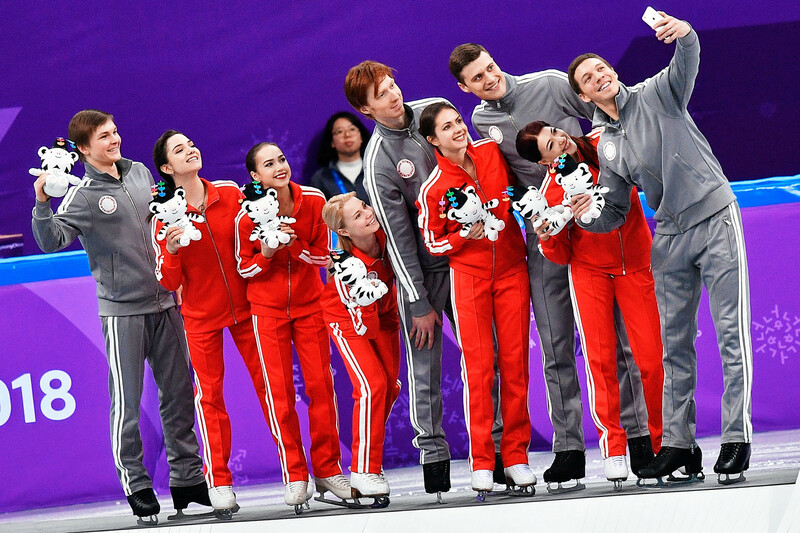 Despite the regrettable performance of Mikhail Kolyada, Russian figure skaters earned silver as a team. Evgenia Medvedeva, Alina Zagitova, Evgenia Tarasova, Vladimir Morozov, Natalia Zabiiako, Alexander Enbert, Ekaterina Bobrova and Dmitri Soloviev were extraordinary on the ice. Evgenia Medvedeva even set a new world record, receiving a score of 81.06 in the short program. 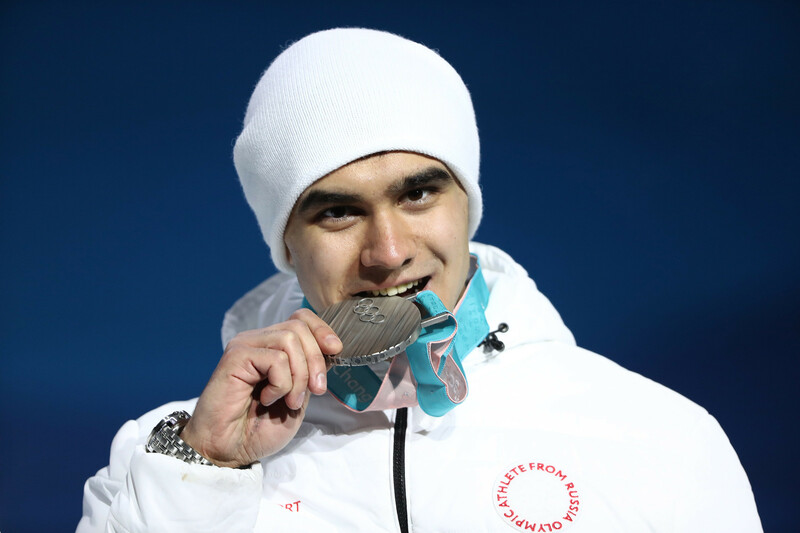 While Nikita Tregubov finished 6th at his Olympic debut in Sochi 2014, in these current winter games the world championships medalist came second. By the way, this is the third Winter Olympics in a row when Russian men won medals in skeleton. Alexander Tretyakov took bronze at the 2010 Vancouver games, and gold at Sochi in 2014. In cross-country skiing, OAR made Russian fans happy by achieving the impossible. 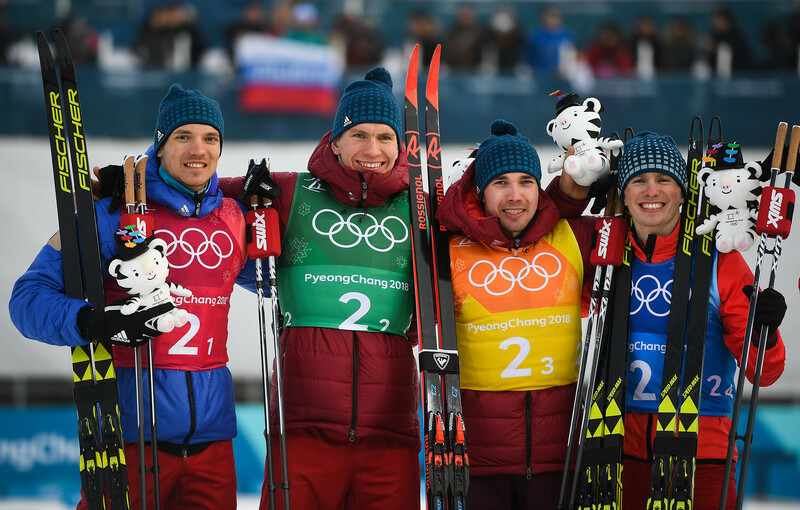 Young skiers (born between 1989 to 1996) Aleksandr Bolshunov, Aleksey Chervotkin, Andrey Larkov and Denis Spitsov came second, only 10 seconds behind Norway. 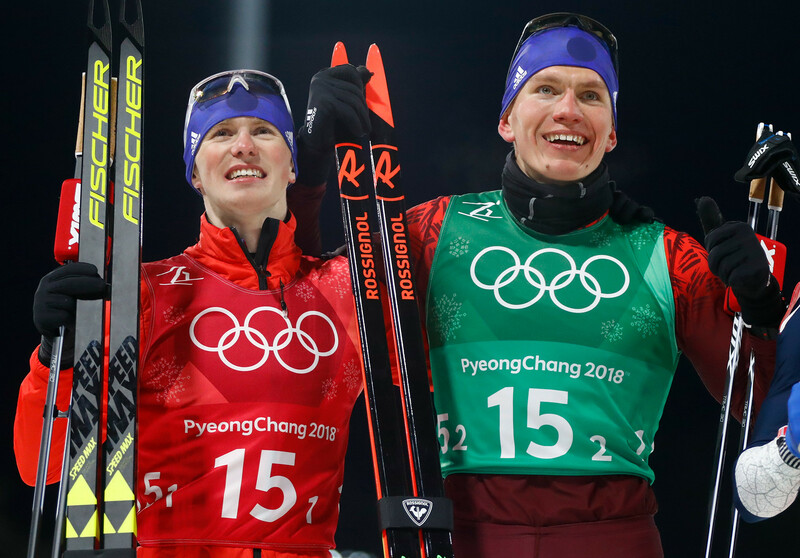 These two skiers are the Games' heroes for Russia, earning a total of seven medals. But Norway came first in the men’s team sprint. 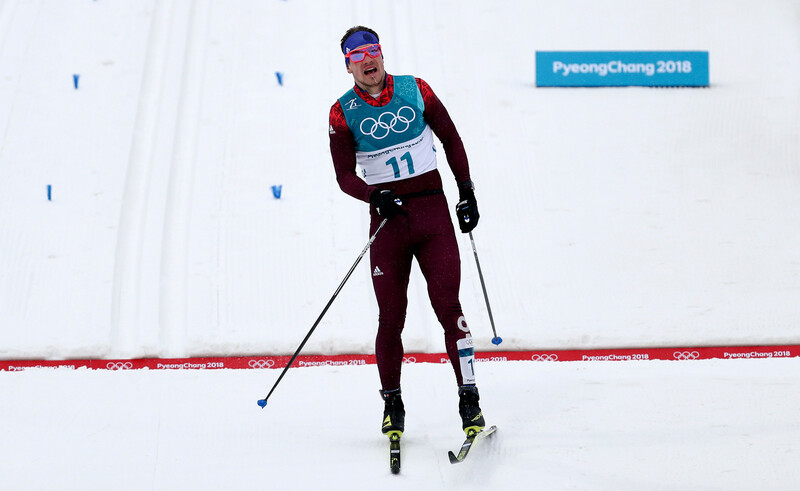 Russia’s fourth Olympic medal on the last day of competition – bronze in this race – was won by Andrey Larkov. 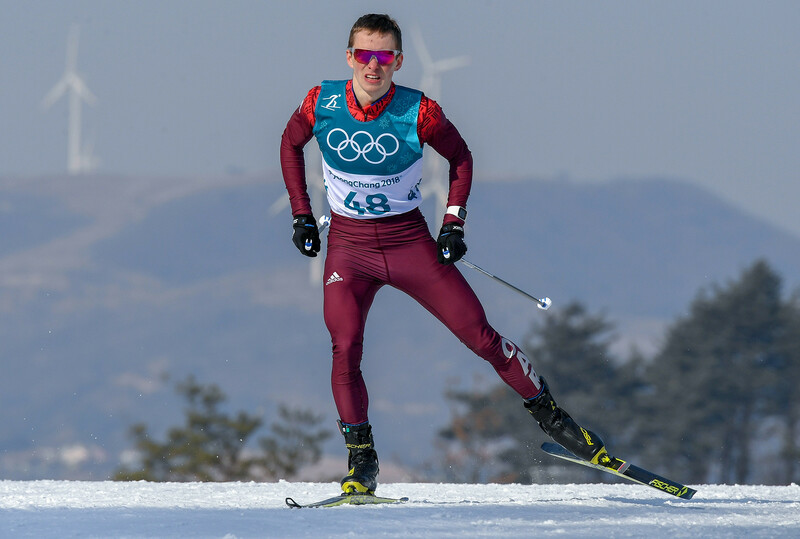 After earlier having received a silver medal in another category, 21-year-old Alexander Bolshunov accomplished another feat, taking home the bronze while losing the silver by just 0.2 seconds to Italian Federico Pellegrino. 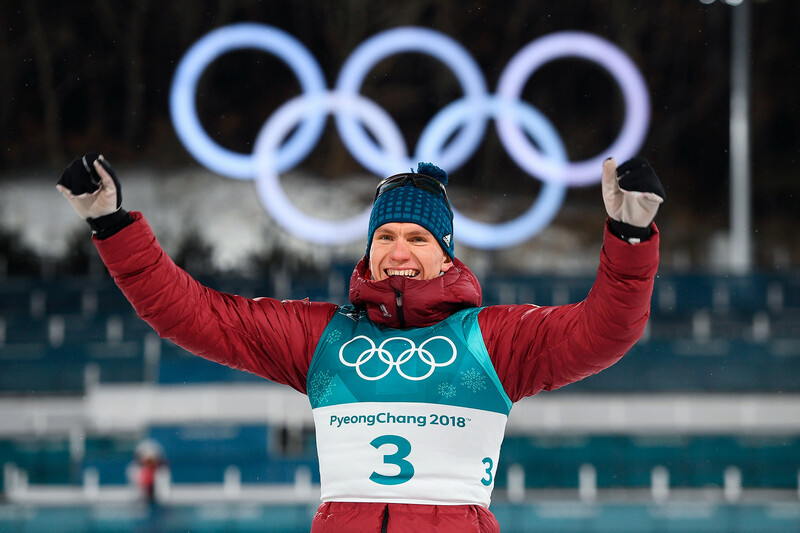 At the same time, another 21-year-old, cross-country Russian skier, Denis Spitsov, earned his second Olympic medal in the 15 km freestyle race, again making Norway nervous. 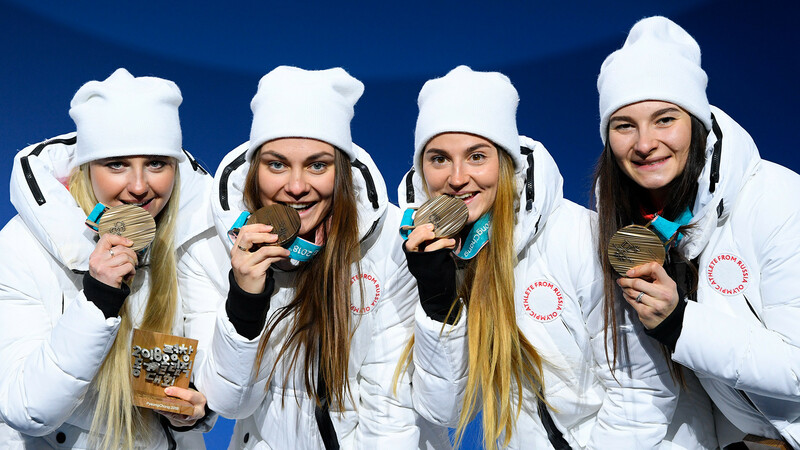 Following the success of the men, young Russian lady skiers – Yulia Belorukova, Anna Nechaevskaya, Natalia Nepryaeva and Anastasia Sedova – managed to beat everyone except Norway and Sweden. 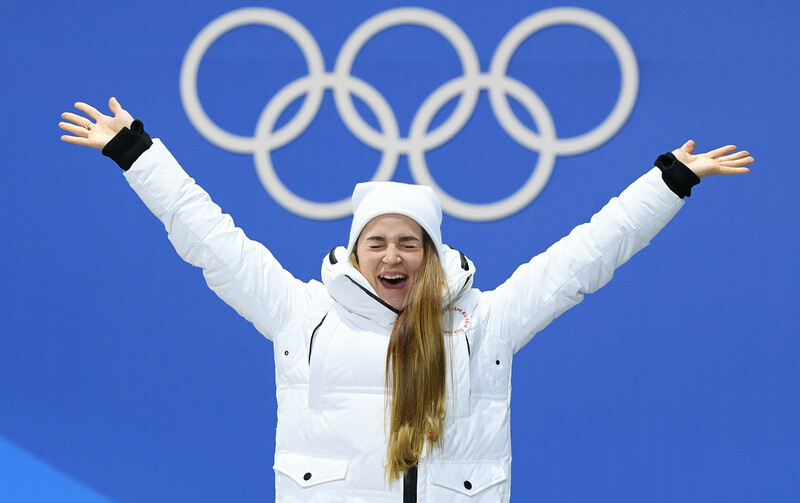 Before getting her bronze in the team event, 23-year-old Russian beauty Yulia Belorukova won third place in the women’s sprint, only giving up first and second to the omnipotent skiing powers of Norway and Sweden. “This night I didn’t sleep alone; my bronze was with me,” Yulia wrote after the race on Instagram. 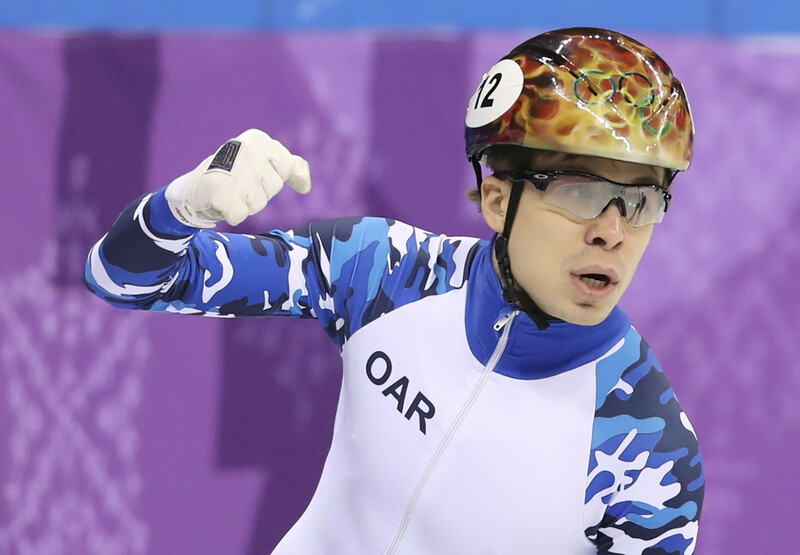 While Sochi 2014 star Viktor Ahn wasn’t allowed to participate in these current Olympics, his teammate, Semion Elistratov, who took gold in Sochi for the 5,000 meters relay, now came third, losing by split seconds to South Korean and Dutch athletes. Sochi’s winner of two golds, Olga Graf, wasn’t invited to PyeongChang despite being confirmed doping free. 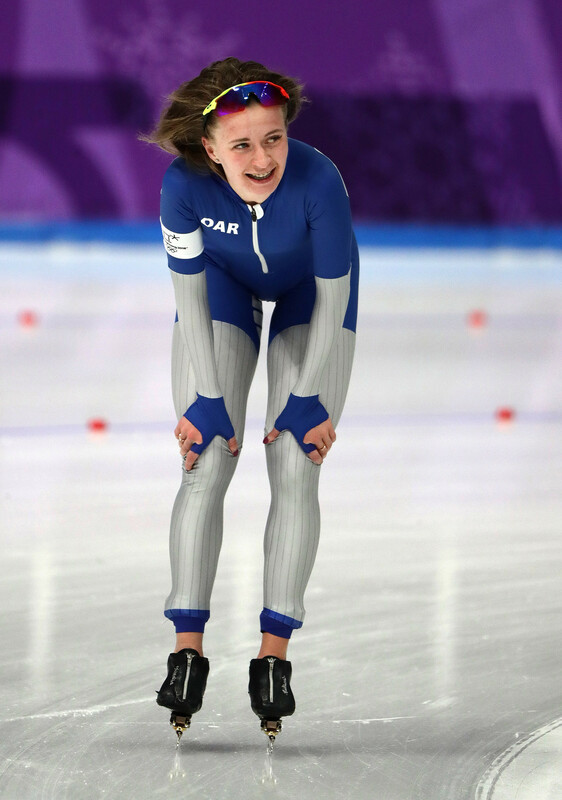 So, there were not many hopes for Russian women in speed skating, but another surprise came in the form of 23-year-old Natalya Voronina who made her Olympic debut, coming third in the Women's 5,000-meter speed skating. Three neighboring countries – Ukraine, Russia and Belarus – made their fans stare at the TV with fingers crossed as they fought in the freestyle final for a medal, and there were even two athletes from Russia. Unfortunately, Pavel Krotov fell on his final trick, letting Chinese Jia Zongyang to go ahead. So the Ukrainian athlete was unquestionably first and Russian Ilya Burov took the bronze. The 25-year-old Ridzik only recently began skiing freestyle, and already in 2015 he was twice a World Cup medalist. Shortly before the Olympics, he was seriously injured, displacing two vertebras, but he managed to recover for the Games. 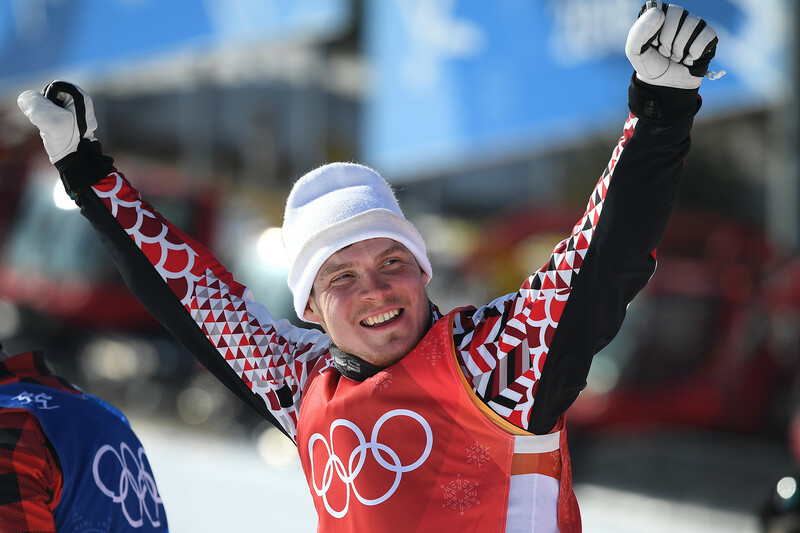 Russian skiers won two medals in this competition – Alexander Bolshunov took silver, while Andrey Larkov earned the bronze. 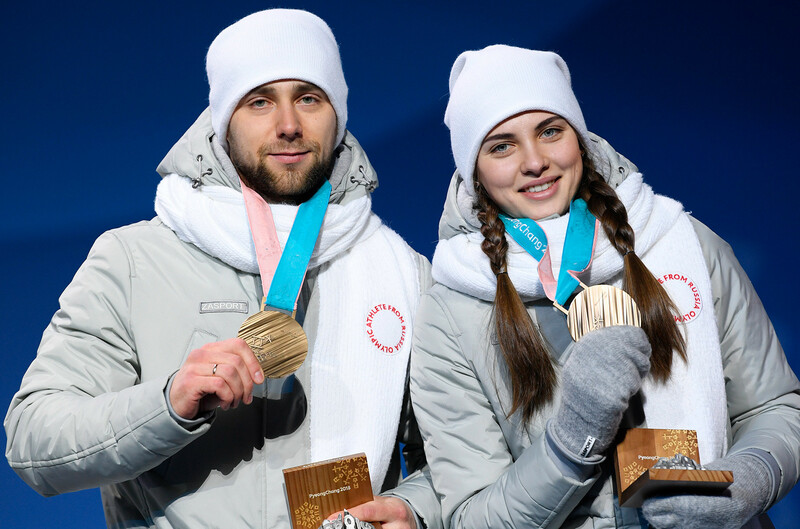 This was the first time when curling mixed doubles was included in the Olympic program, and Russian married couple Anastasia Bryzgalova and Alexander Krushelnitskiy managed to win a bronze. Anastasia also conquered the Western media, who admired her beauty and were comparing her with Angelina Jolie. But soon after the bronze medal was on Alexander Krushelnitskiy’s neck, officials claimed that meldonium was found in his doping test. The medals were handed back and given to Norway. The official speaker for Russia’s Olympic team, Konstantin Vybornov, said it’s impossible to believe that Alexander deliberately took the banned substance. A range of Russian athletes, including Maria Sharapova, had doping problems in the past because of meldonium. The Olympics are over so it's time to start preparing for the 2018 FIFA World Cup™. Here's our guide to the host cities so you can make the most out of your trip to Russia. Quiz: How well do you know Russian figure skaters? Fan Calculator: How much is a 2018 FIFA World Cup™ trip to Russia? Who is Russia's latest skating star?